Whether you are a weekend warrior or an ultra-marathoner, trail races are a great way to test your strength and endurance. Across the country adventure races have been gaining so much popularity in recent years that there are literally hundreds to choose from and likely dozens just in your immediate area. We researched trail races across the country and found what we consider the 10 most epic trail races in America. If it’s waterfalls you’re after then the 13.1-mile loop course known as the Silver Falls Marathon, yes there is a marathon course option, passes under a spectacular 136-foot waterfall. The race is located within Silver Falls State Park outside Silverton, Oregon and takes place Nov 4-5, 2017. OUtside of Amherst, Massachusetts is a 12-mile out-and-back adventure race that winds along the ridge of Mt. Holyoke Range and gains 3,500 feet. 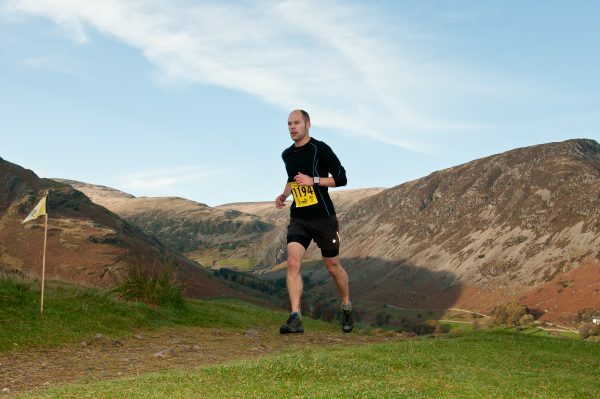 The 7 Sisters Trail Race has fast become a mountain lovers trail race not to miss. Takes place early May. For the professional adventure racers, the North Face Endurance Challenge is the culmination of a national series of trail festivals. Heading out of Sausalito, California this 50-mile course carries some of the largest prize money in the country for any adventure race, making it well worth your efforts. Grand prize brings with it $20,000. Here’s one we just had to include because of it’s bizarre name. The Hairy Gorilla Half Marathon is one of the few adventure racing that you can compete in while wearing a costume. Held just a few days before Halloween each year in Voorheesville, New York, the 13.1 mile loop wanders through John Boyd Thacher State Park. For one of the most gorgeous courses, there is none other than the Paul Mitchell XTERRA World Championships in Oahu, Hawaii. Another culmination of a trail running series, this 21K course traverses the Kuala Ranch, which is the backdrop for several movies including Jurassic Park. Takes place Dec. 4. If it’s outdoor sports you’re after, few places have as many resources as Lake Tahoe. For a trail race that covers much of the lake, there’s the 7.5 mile Emerald Bay Trail Run. Here you can take in epic views of the High Sierras while you’re huffing and puffing you’re way around the lake. For a family fun event that includes a trail race for kids, the Jay Peak Trail Running Festival also offers a marathon trail challenge. With distances for just about any skill level, this festival includes a series of races at the Northern Vermont resort outside Jay, Vermont. Even if you’re not into running, there’s a waterpark and a golf course to enjoy. If you are looking for a trail race on an island there’s the Catalina Island Eco Marathon in Southern California. Just 26 miles from Los Angeles, you’ll feel like you’re in another country during this marathon that traverses the islands largely untouched expanse. See what California would look like without people in this barren coastal desert landscape. Lastly, we’ve included the Big Bend Ultra because it’s one of the only trail races that takes place within a National Park. You’ll be running on the gravel roads that cross this Chihuahuan Desert terrain and Big Bend National Park, one of the largest, most remote and least visited National Parks.